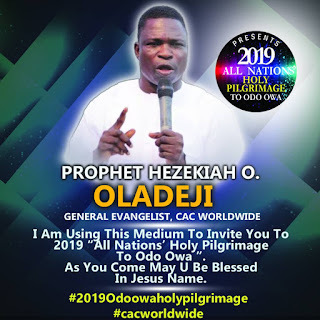 The General Evangelist of Christ Apostolic Church Worldwide, Prophet Hezekiah O. Oladeji has noted that there is still hope of the next move of God for anyone who desire to work with Him (God). He said that with Jesus Christ, there is still hope for those who are passing through challenges that seem will overcome them, imploring them to attend the forthcoming “All Nations’ Holy Pilgrimage to Odo Owa” organized by CAC Worldwide. 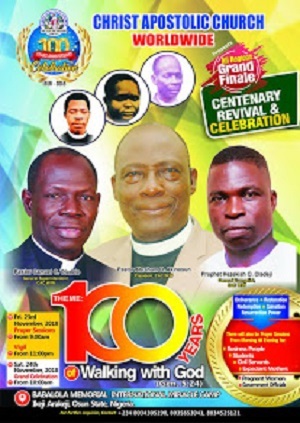 Prophet Hezekiah who stated this yesterday in an interview with CAC NEWS urged all Nigerians not to look or think about the economic situation of the country, but put their mind at rest and depend only on God. 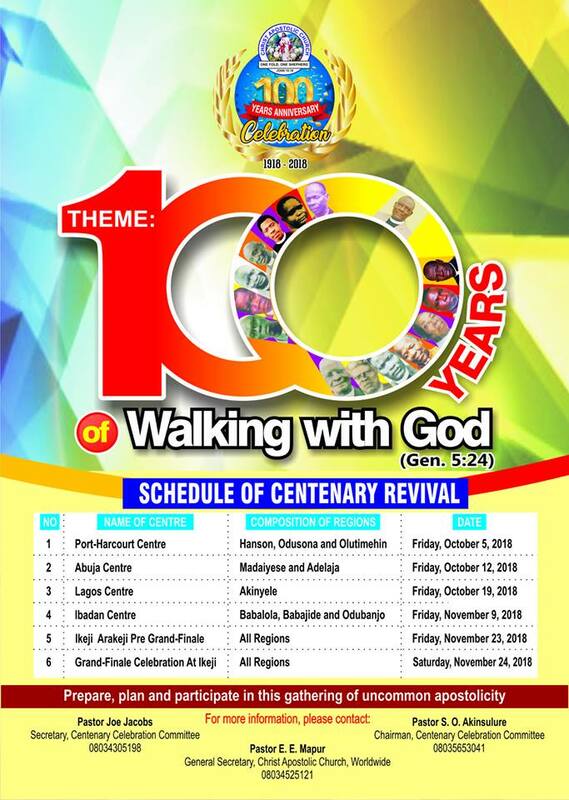 This year's edition of the annual spiritual fiesta will hold from Monday February 18 to Friday February 22, 2019 with the theme "There is Still Hope For You" at Babalola Mountain, Odo Owa, Kwara state.